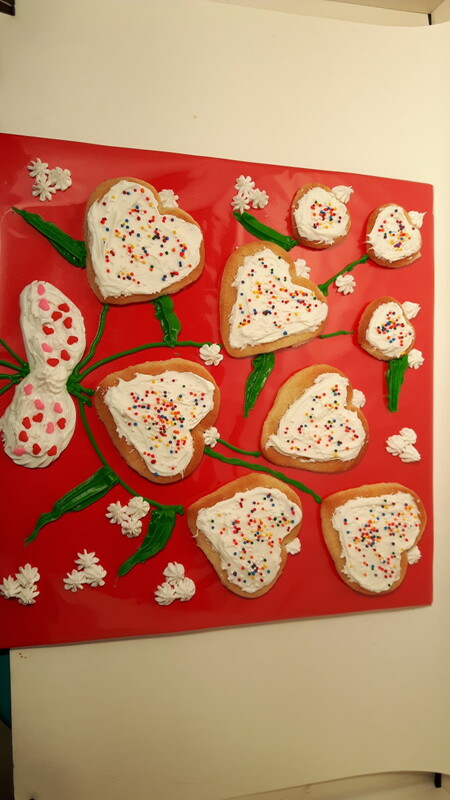 A cookie bouquet is a collection of decorated cookies that are either mounted on sticks or nicely arranged on a flat piece of cardboard and made to look like a bouquet. 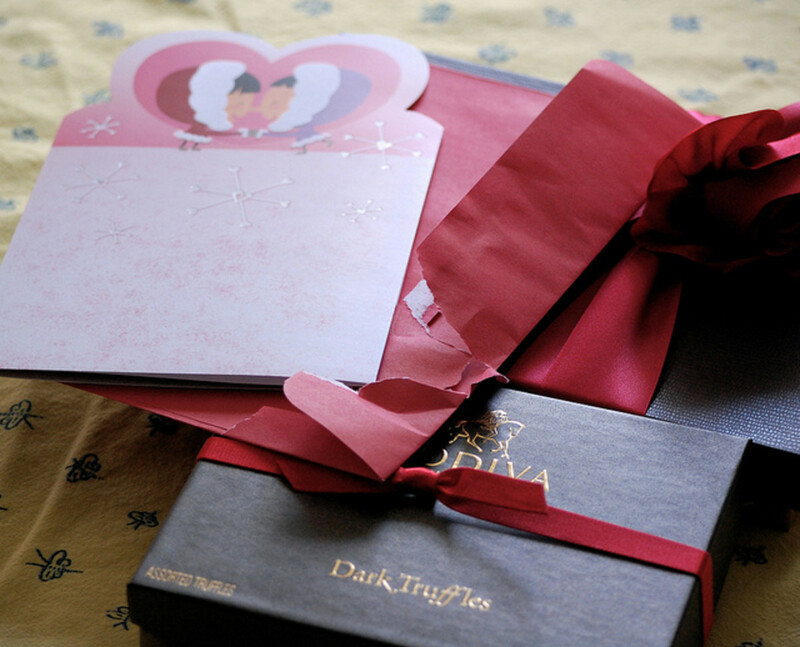 It is a very nice way to give someone a unique homemade gift. In this tutorial, you are going to make a bouquet on a piece of cardboard. 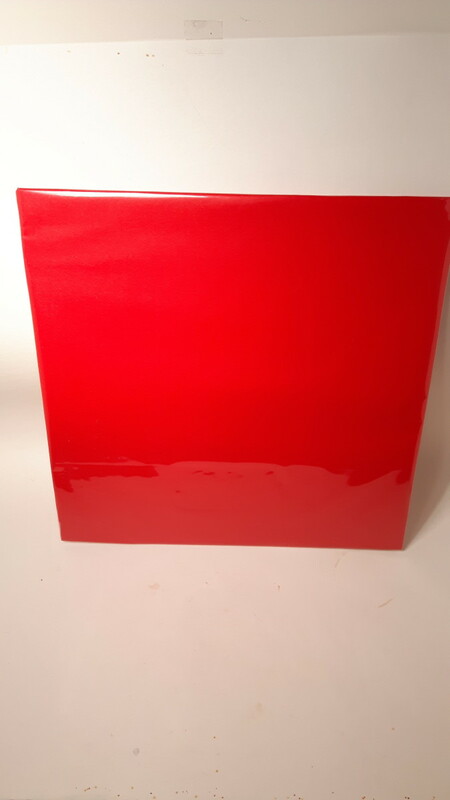 We are going to cover the cardboard with some nice paper or aluminum foil to get a great surface to show off your cookies. Are you ready? 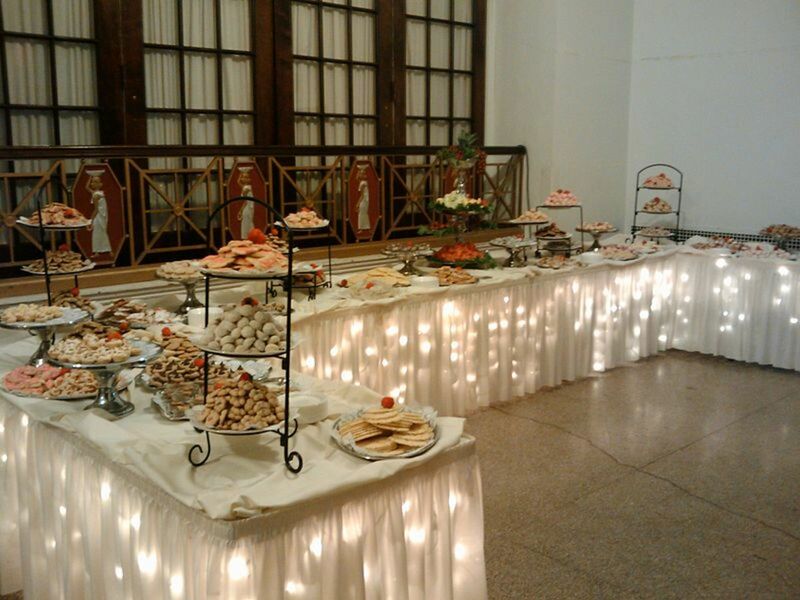 Let's get fancy! If you have never used a recipe before, you may not know what some of the ingredients are or even what to do with it all. It can be overwhelming, so we are going to cheat a little. You can make this bouquet with ready-made dough, similar to what I did in this recipe. You could also make it with this ultimate shortbread cookie recipe. 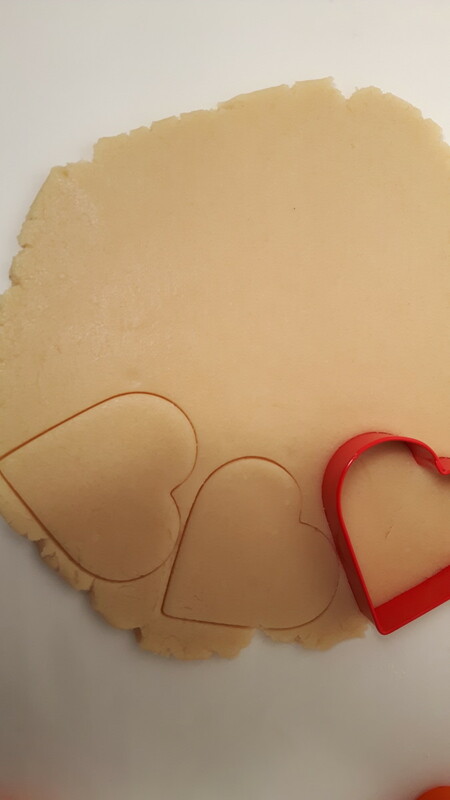 If you use the shortbread recipe, you will take 2 tablespoons of flour out of one of the measuring cups before you dump it in the bag. This is so you will be able to roll the dough out more easily. 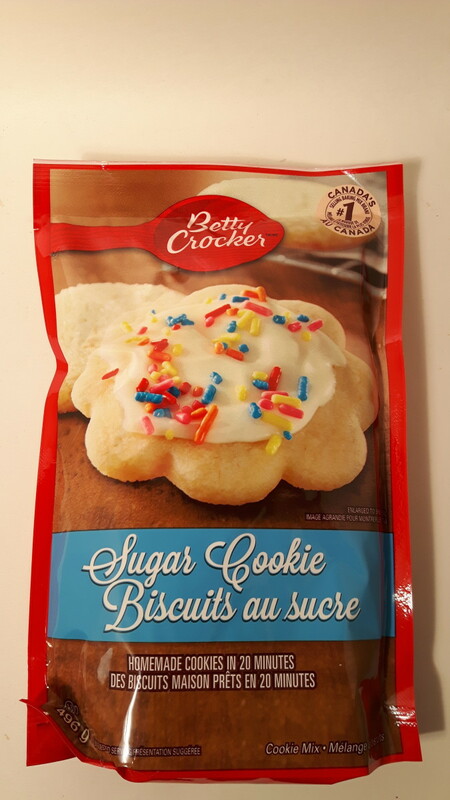 Today, however, we are going to take a step up and actually make the cookie dough with a mix. 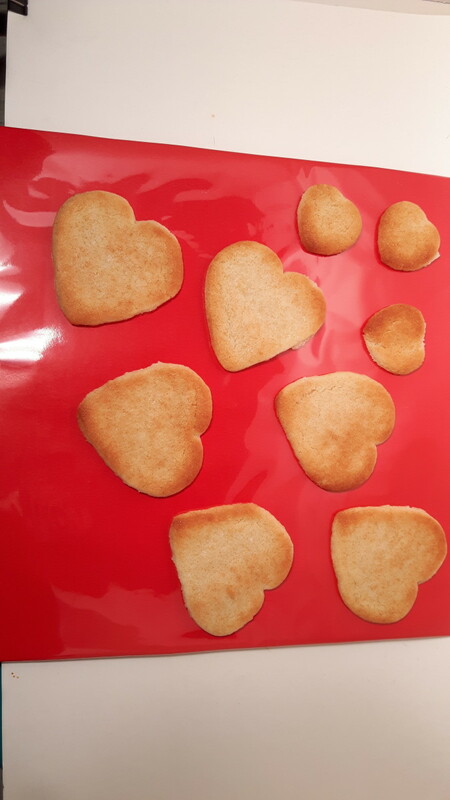 In another tutorial we are going to make the cookies from scratch. Open the package and dump the contents into a medium size bowl. 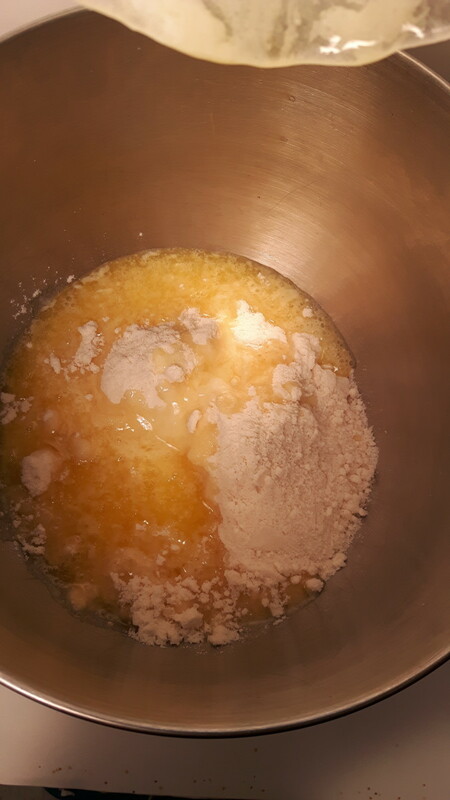 Measure 3 tablespoons of flour and add it to the bowl. 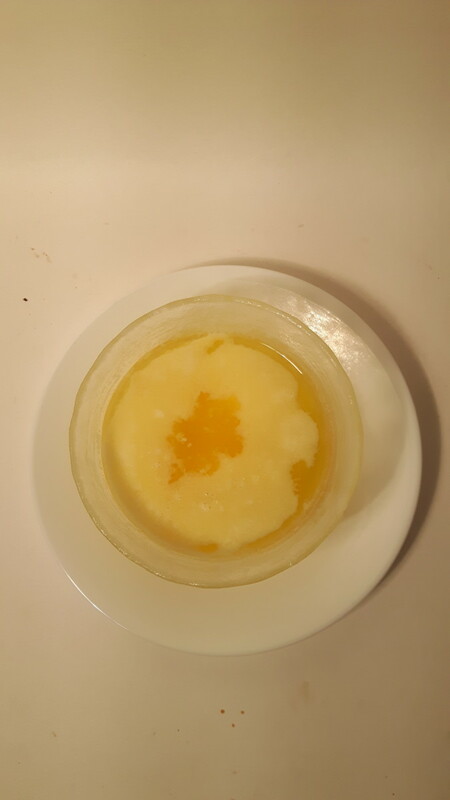 Melt the butter in the microwave for 30 seconds or until it is liquid and add it to the bowl. 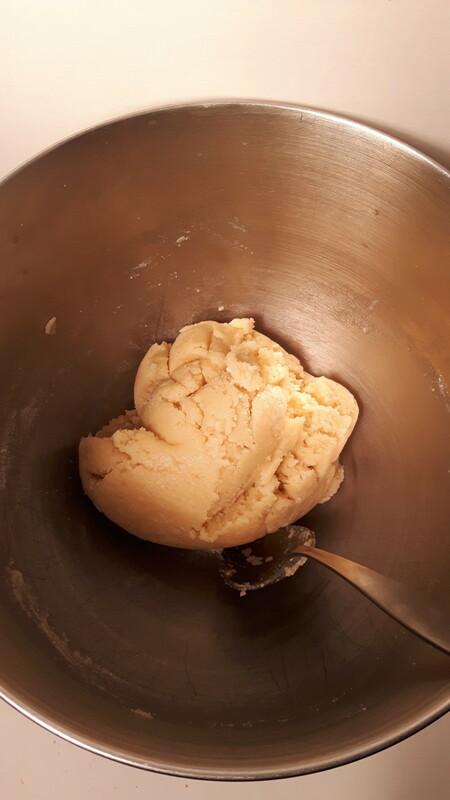 Using a large kitchen cutlery spoon, mix everything together until a smooth dough is formed. Lightly sprinkle some flour on a clean flat surface or on a piece of parchment paper. 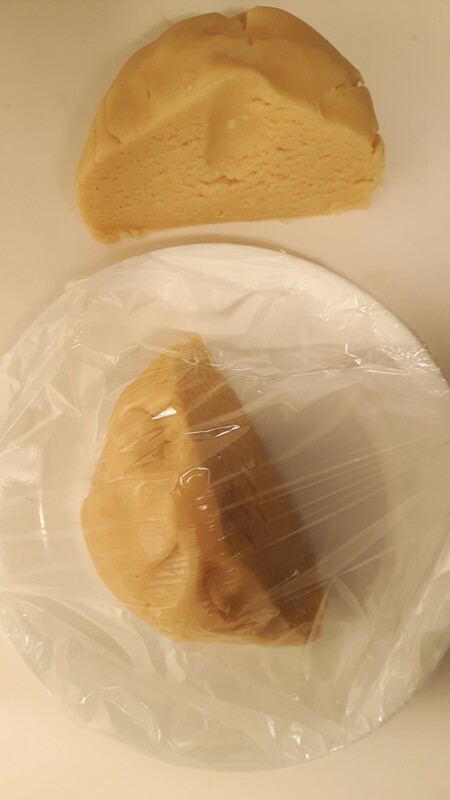 Cut the dough in half and place half of it on a plate covered with plastic wrap. 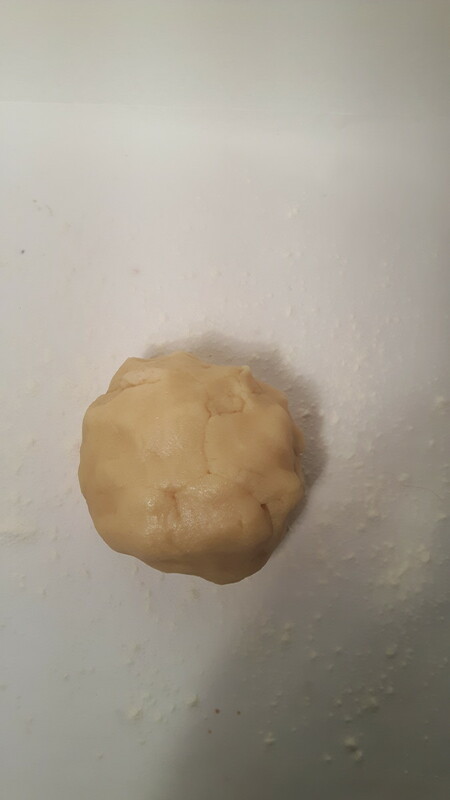 Pick up the other piece of dough and form it into a ball with clean hands. 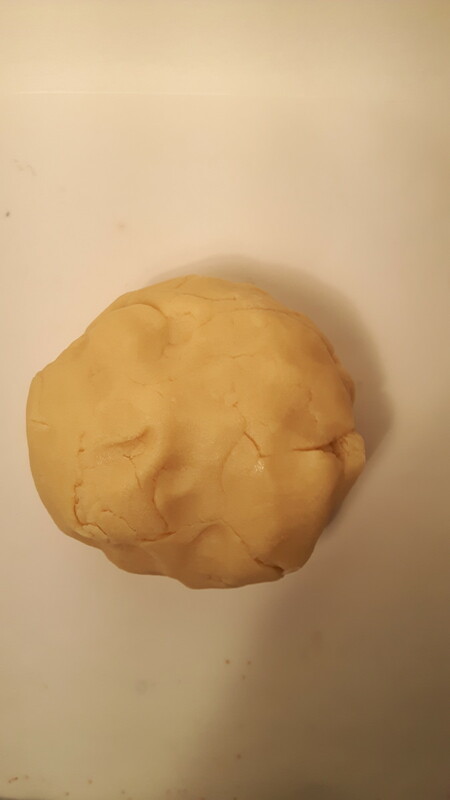 Place the dough on the lightly floured surface and flatten it with your hands. 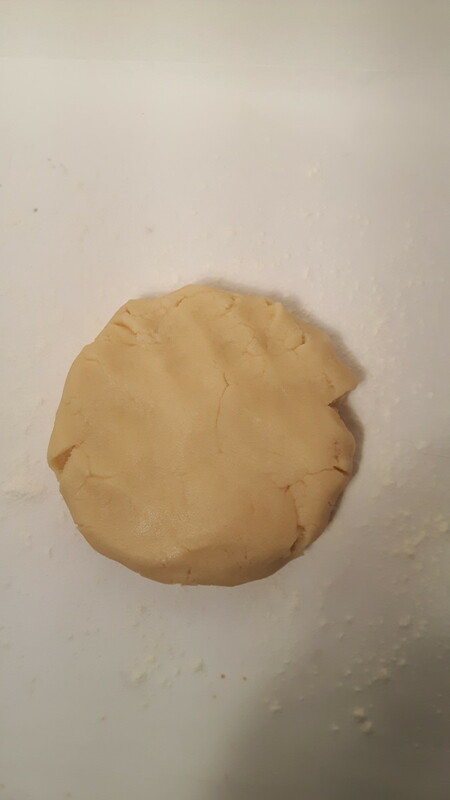 Using a rolling pin, roll out the dough until it is an even 1/4 inch thick. 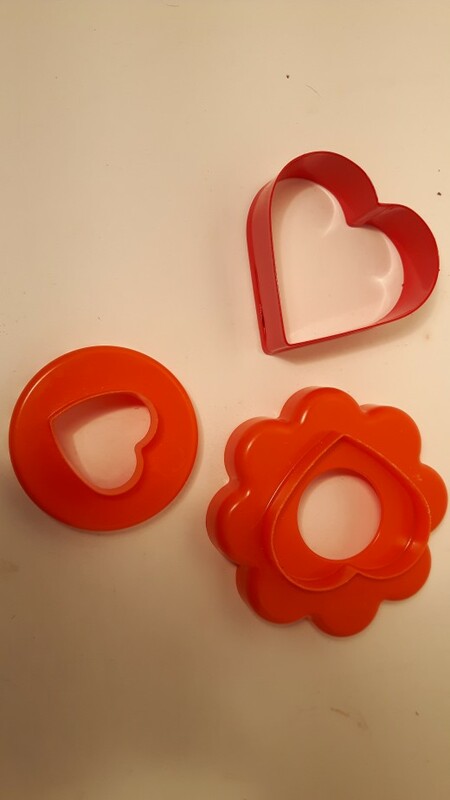 Use cookie cutters to cut the dough into shapes. 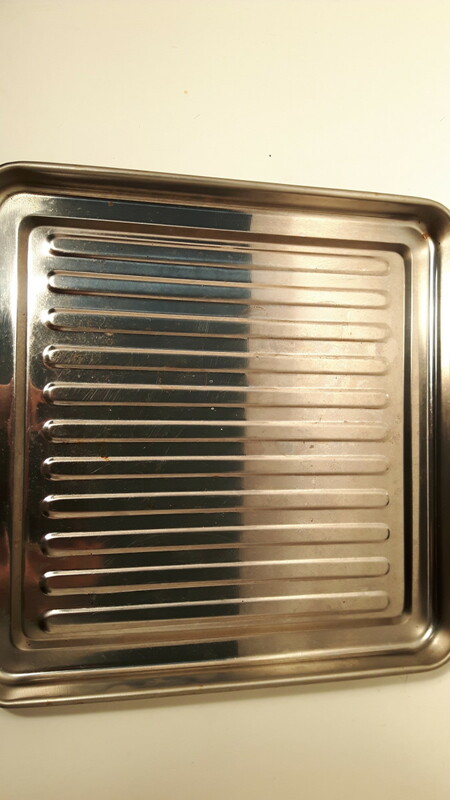 Grease your baking tray with cooking spray or butter, or line it with parchment paper. 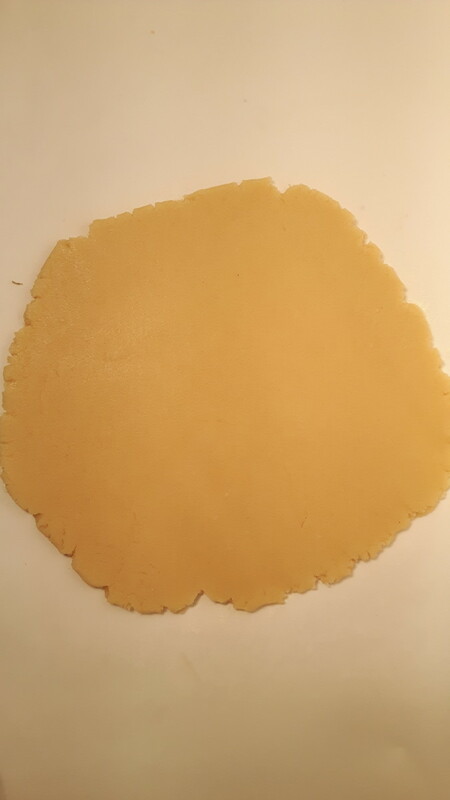 Use an egg lifter to lift the cut cookies onto the prepared baking tray. Set the oven/toaster oven temperature to 350 degrees F and bake the cookies for 5 minutes or until they are lightly brown. Remove the cookies from the oven and let them cool on the tray for 5 minutes before using the egg lifter to transfer them to a cooling rack or flat surface to cool completely. 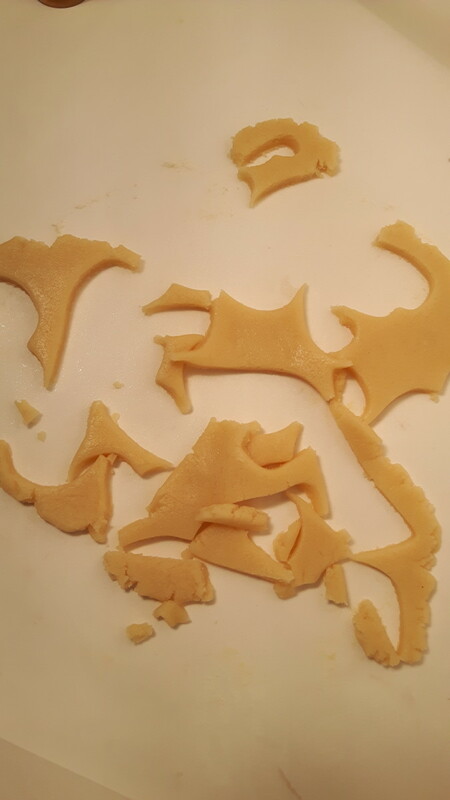 Reroll the scraps with the second half of the dough to make more cookies. Look below to see how to ice the cookies. For this recipe, you will need a tablespoon measure. 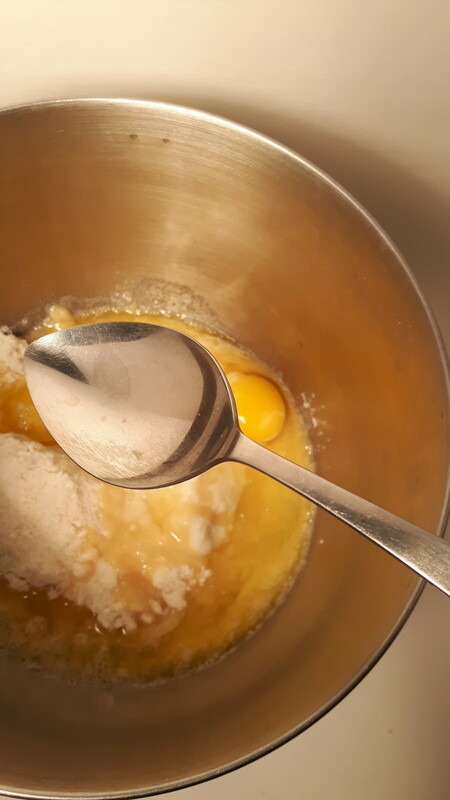 Fluff up the flour with a kitchen cutlery spoon, then heap flour into your measuring spoon. 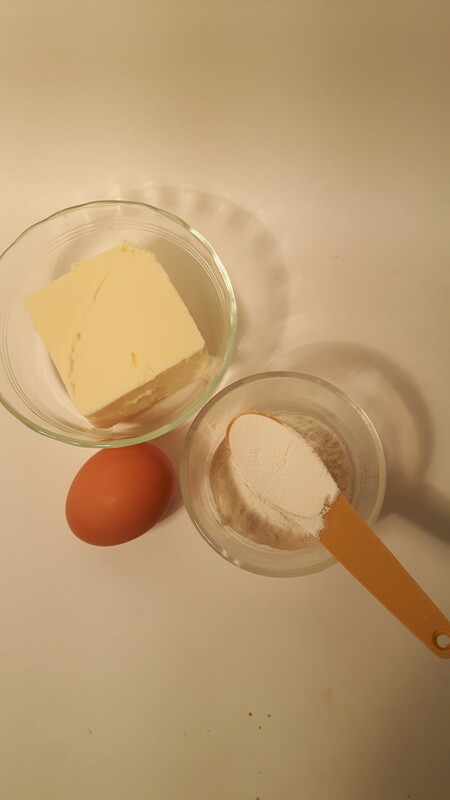 Use the back of a knife to scrape off the excess flour back into the container. 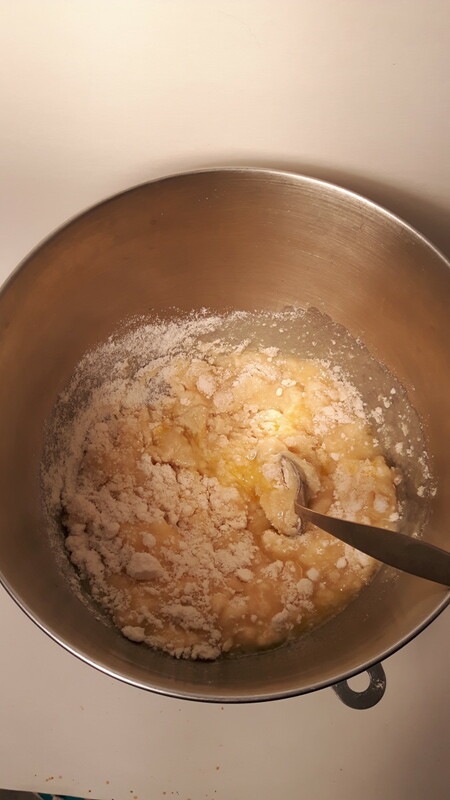 Do not tap or bang the measuring spoon as it will compact the flour and you will end up with too much. If you have never cracked an egg before it can be a daunting experience. 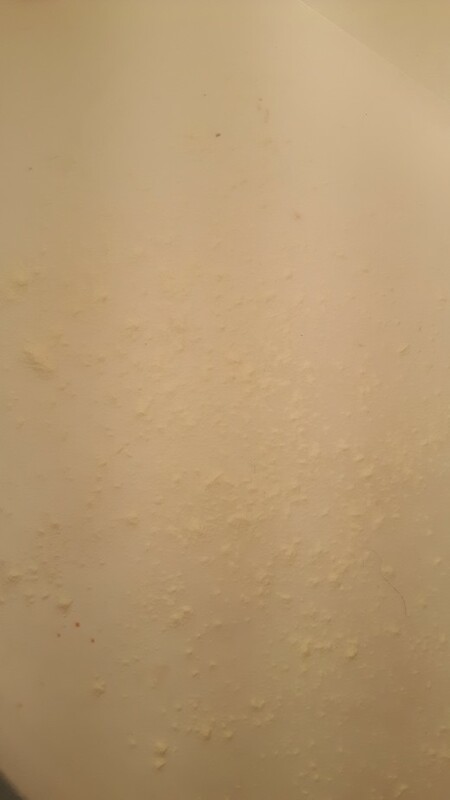 It could end up all over the place and not where you want it to be. 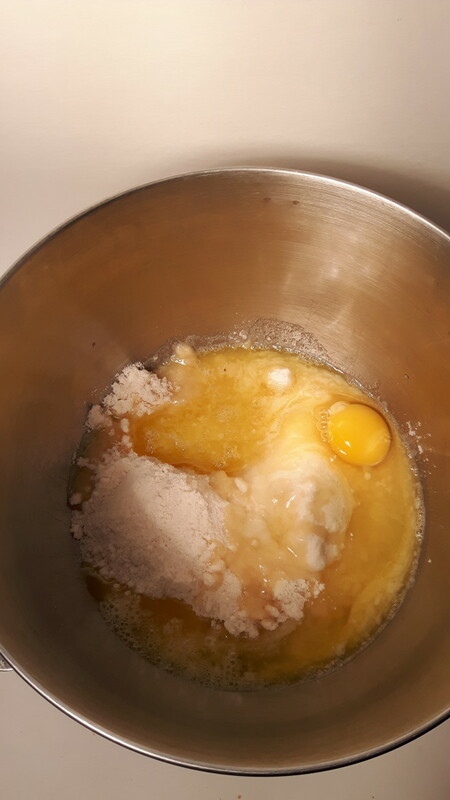 So let's crack an egg and get it into the bowl. Pick up the egg with your non-dominant hand. If you are right-handed, pick it up with your left hand. With the back of a kitchen cutlery knife, very gently tap the top middle of the egg shell until you have pecked a small hole or crack in the shell. You don't want to decapitate it, just tap a small hole. Put down the kitchen knife and put both of your thumbs on either side of the hole while you cradle the egg with your fingers. Gently pull the egg shell sideways like you are making the hole bigger. The shell will come apart and the egg will fall into the bowl. Microwave the butter for about 30 seconds, and if it is not all melted, for another 10 to 15 seconds. Repeat until it is all melted.Let it cool while you open the cookie package. 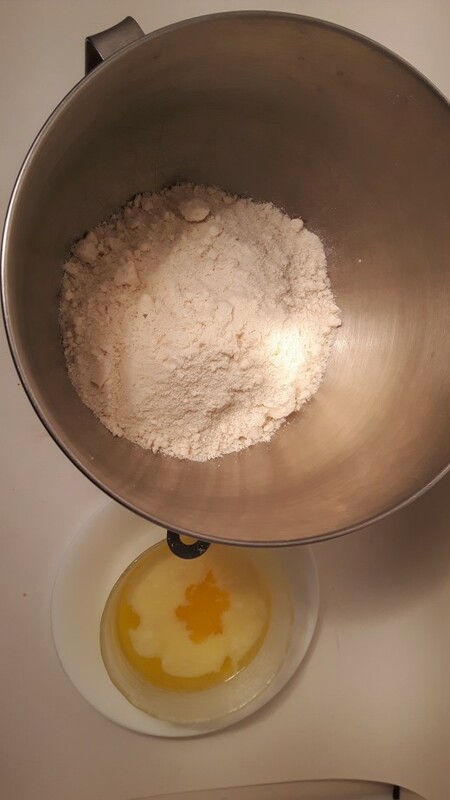 Be sure to scrape the bottom of the bowl where the unmixed flour usually hides, You want everything evenly mixed so you can't see loose flour anywhere or streaks of flour in the dough. 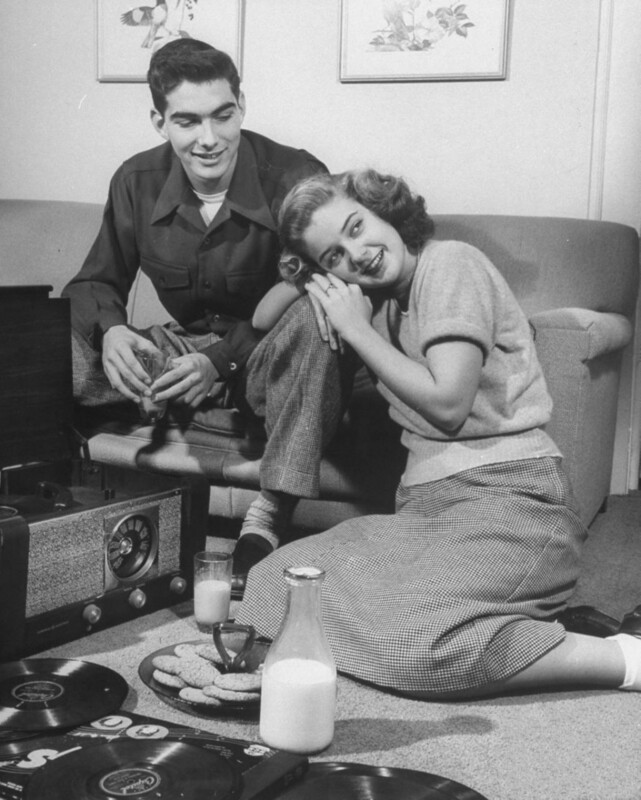 Get your clean hands in there to mix it if you like. What kind of baker are you? You will notice the dough is slightly greasy so you shouldn't have to put any flour on your rolling pin. You will see how it starts to roll out. If it appears to be sticking rub a little flour all over the rolling pin to prevent the sticking. I didn't have to use any flour on the rolling pin. 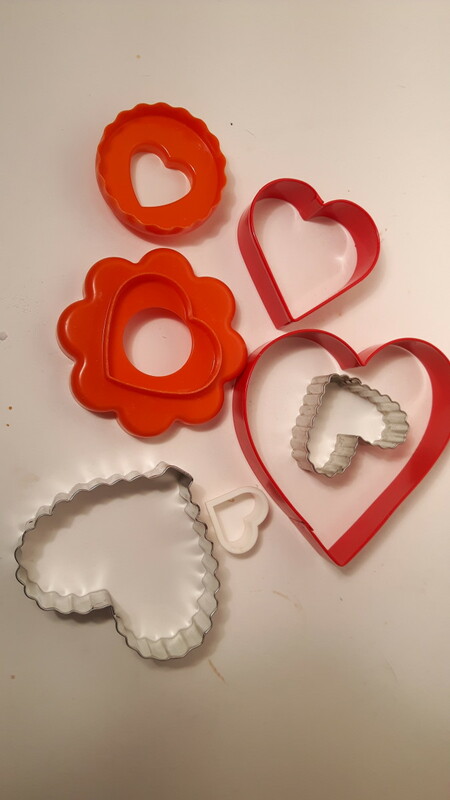 What if you Don't Have any Cookie Cutters? 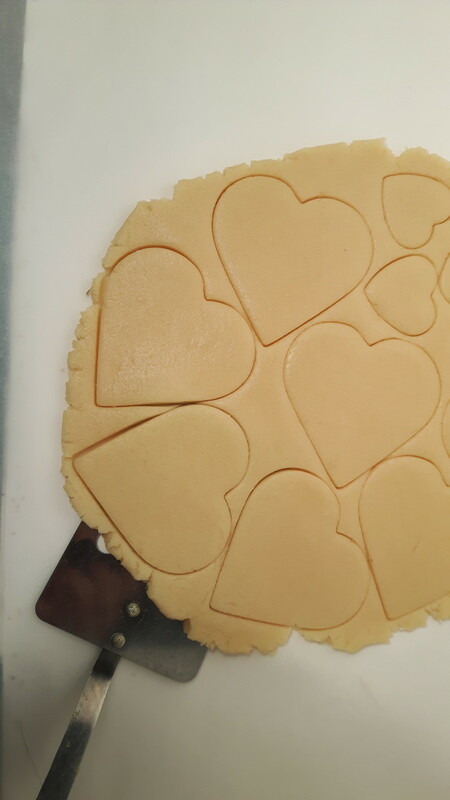 Just draw a heart on a clean piece of paper, lay it on the dough and cut around it with a pointed knife. 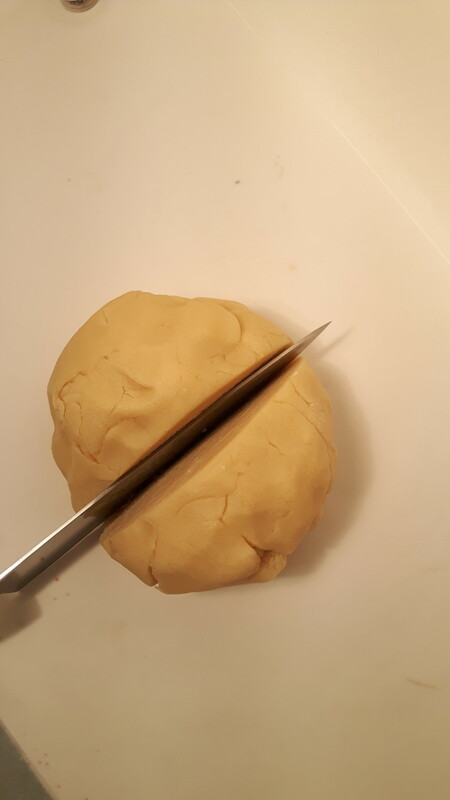 Kitchen cutlery knifes tend to mash the dough more and make the edge ragged so use a paring knife if you have one. 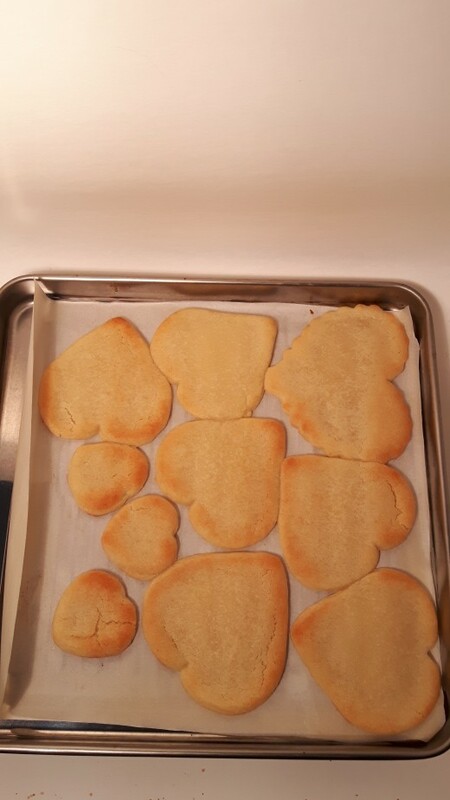 There is nothing worse than cookies sticking to the pan and when you have never baked or don't bake very often it is important to have success. You can use a cooking spray which is oily, you can rub butter on your baking tray or use parchment paper. Sometimes cookies stick anyway, especially if something about the recipe goes sideways. 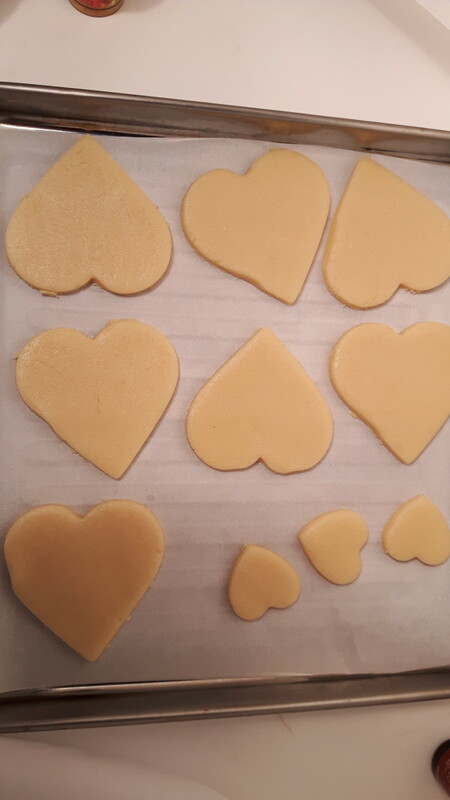 So I always use parchment paper to line my cookie trays and many times you can reuse it. It is the best investment. So if cookies do stick you can actually peel them right off the paper. I'm going to override the instructions on the cookie package because as you can see the cookies are slightly overdone. So set your oven/toaster oven for 350 degrees F and cook them for about 5 minutes. 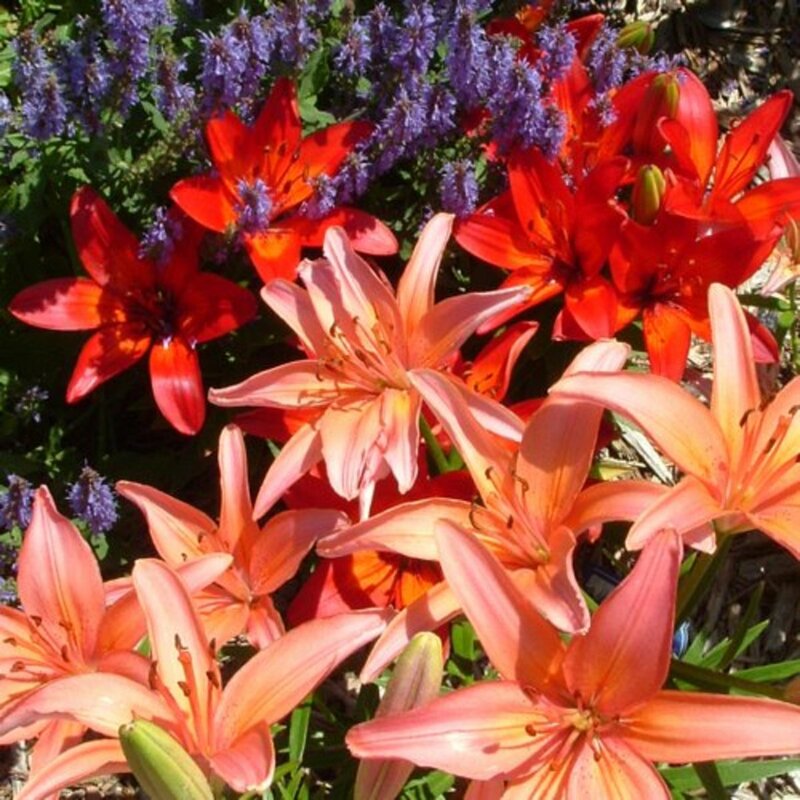 Check them after 4 minutes to make sure they aren't getting too brown or burning. Bring them out of the oven and let them cool for about 5 minutes before you remove them from the cookie sheet to cool completely. 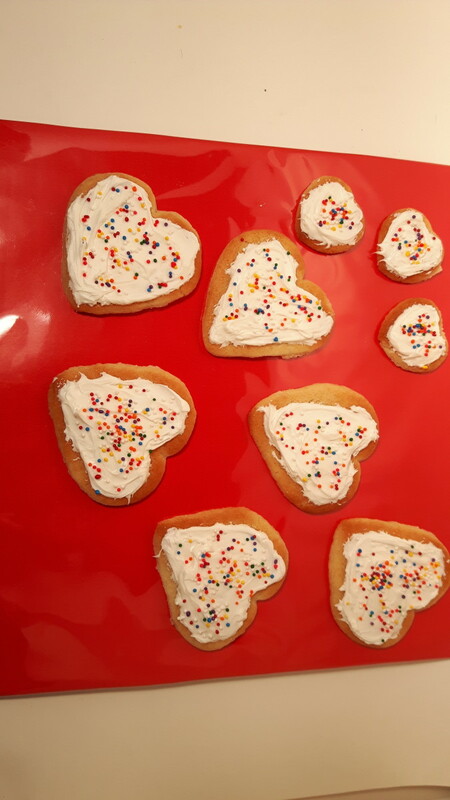 Since this is a beginners tutorial, we are going to ice the cookies with a knife, add sprinkles and magically make it look like a bouquet. Are you ready? Let's do it! This is the most fun! Make a cardboard base on which to build your cookie bouquet. Arrange the cookies on the base how you think you want them. Ice the cookies and add sprinkles if you wish. Make sure the cookies are how you want them. 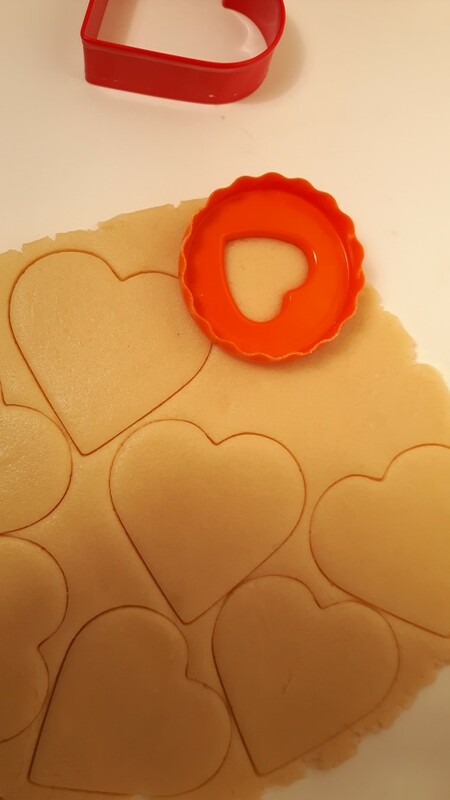 Stick a small amount of icing on the back of each cookie to stick it to the base. 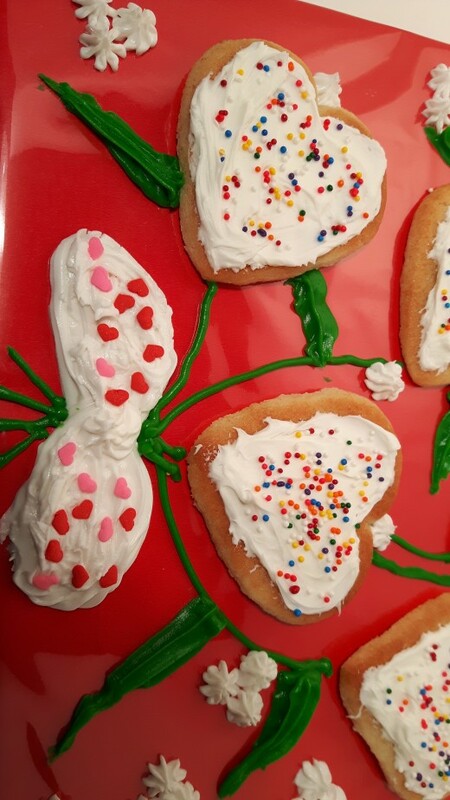 Use red or white icing to make a bow to "tie" around all the cookie stems (optional). Use green cookie icing to draw stems from each cookie down to the bow and below it. 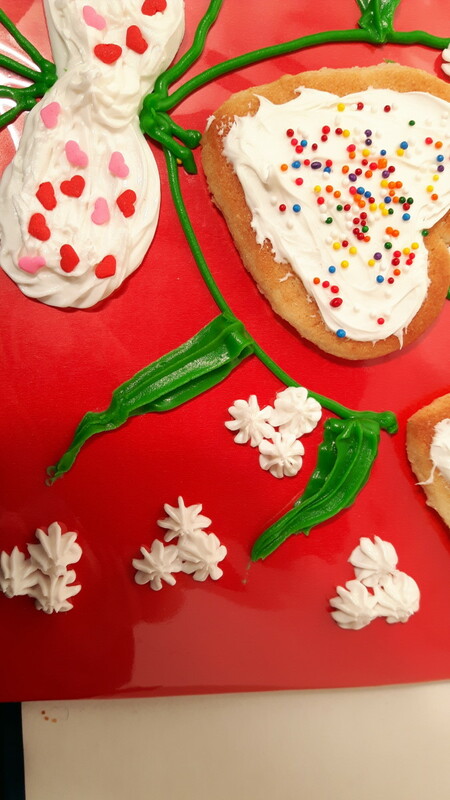 With the star tip still on the white icing, make little squirts of icing for little white flowers. Add some sprinkles to the bow if you like. 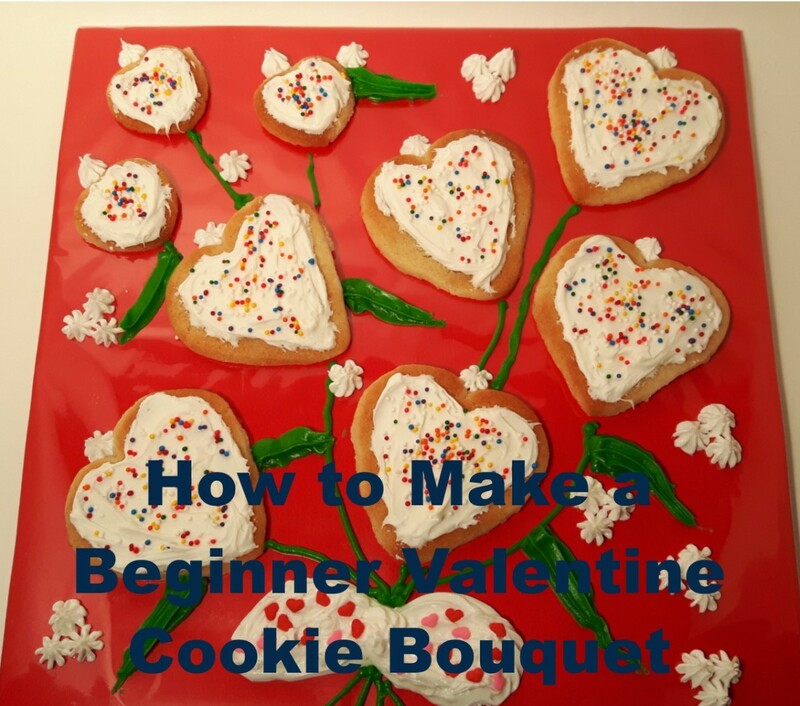 Present your cookie bouquet to your special Valentine! You will need a piece of sturdy cardboard, like from a cardboard box. The one I cut is 12 inches by 12 inches. I bought some red wrapping paper from the dollar store and a roll of basket wrap. 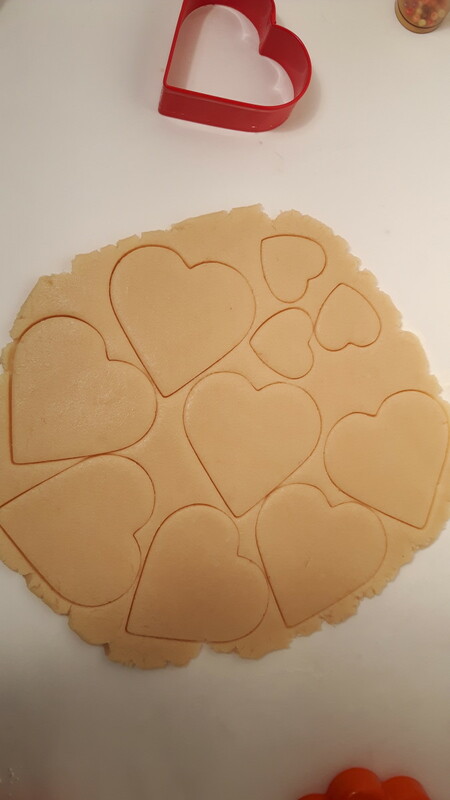 Since the cookies are a bit greasy, unless you cover the wrapping paper with a clear wrap that will prevent grease stains on your beautiful bouquet, they will show all around each cookie. The wraps are cut about 14 by 14 inches so there is an inch overhang on all sides so you can tape them on the back. 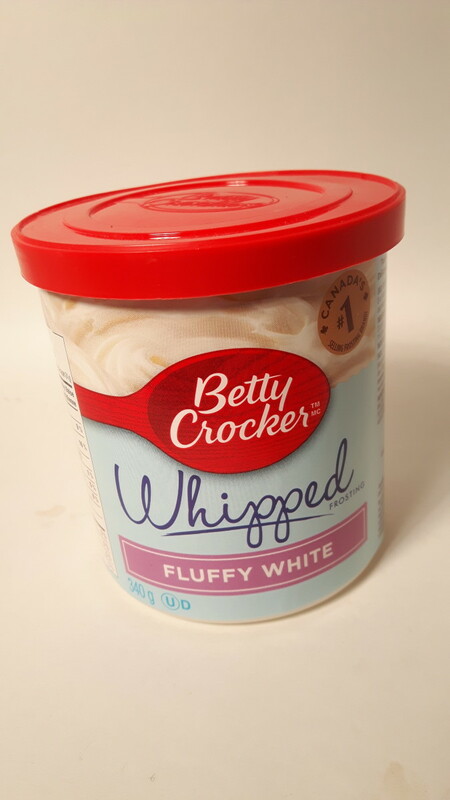 We used this icing for another tutorial in the last few days so we are going to use it to make the valentine bouquet. 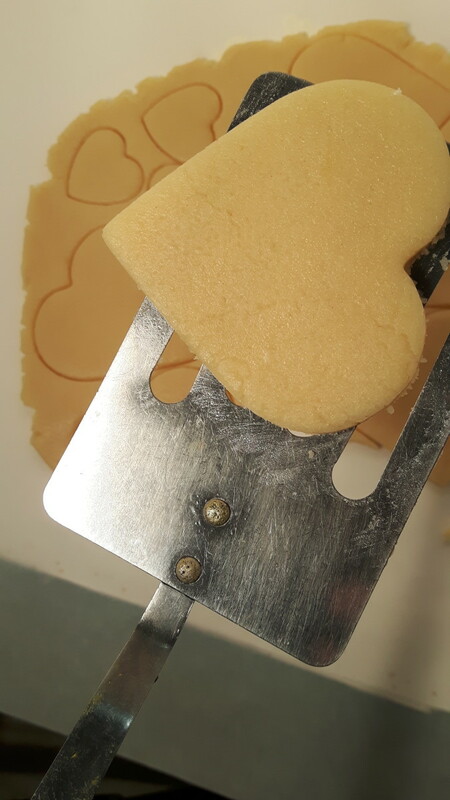 The best way to ice the cookies is to use the tip of the knife to guide the icing around the edge of the cookies, then fill in the middle, creating a more defined edge. 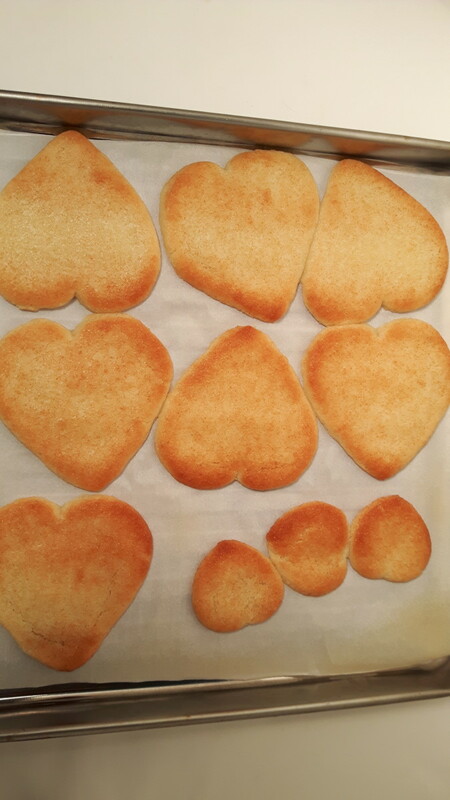 It's not straight but the icing is in a heart shape. 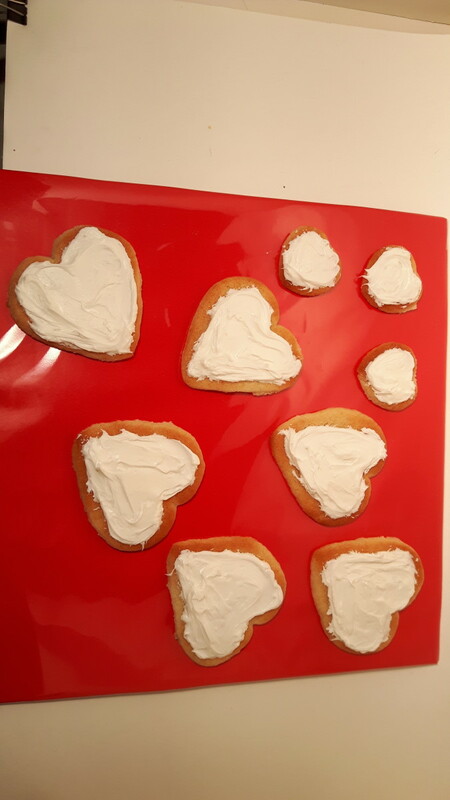 The small dab of icing on the back is to stick the cookies in place so they don't slide around or fall off the board. 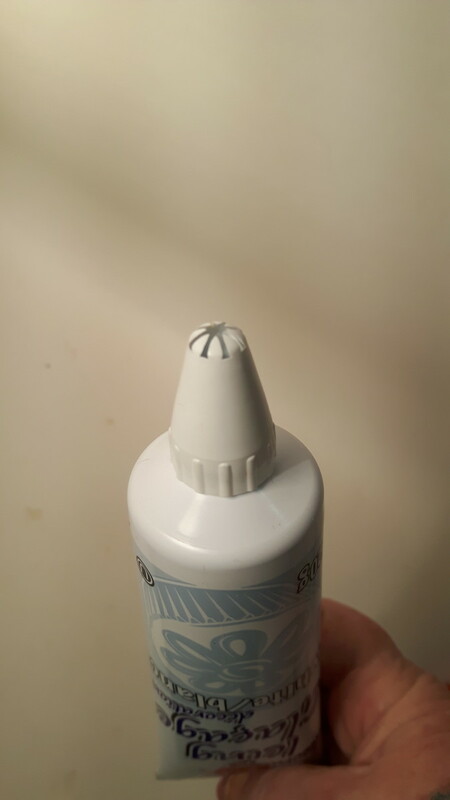 Someone is going to eat the glue so it might as well taste nice. 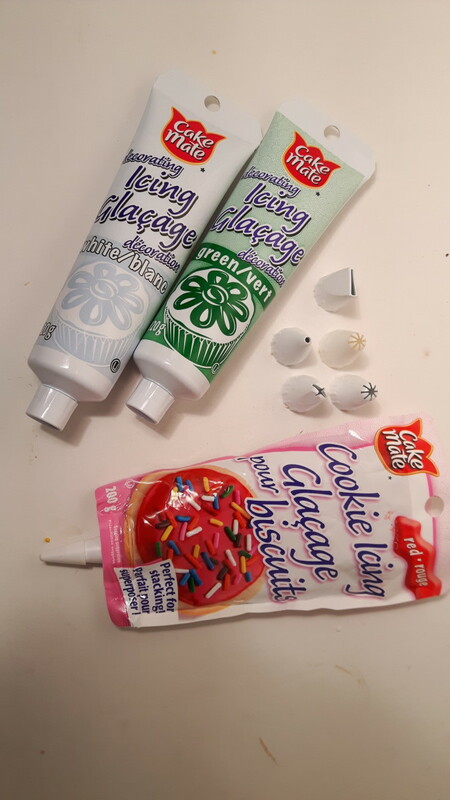 The icing comes in tubes and you can also buy icing tips that screw onto the ends of the cake decorating ones. I have had the tips for years so they last a long time. 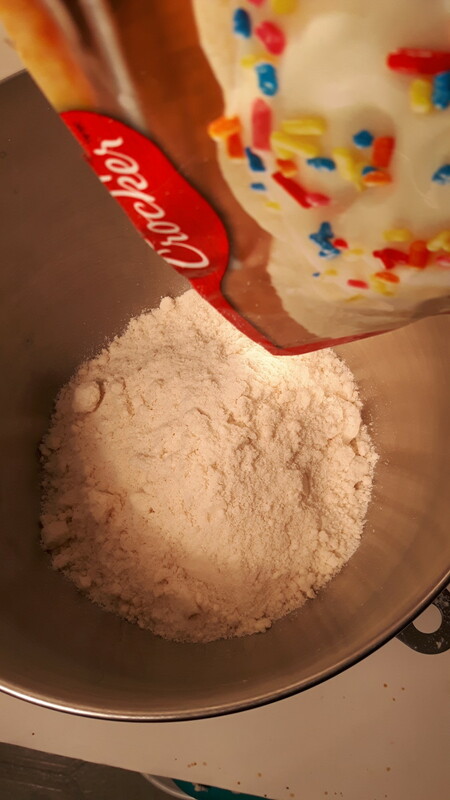 Knead the icing tube so that it is well mixed. 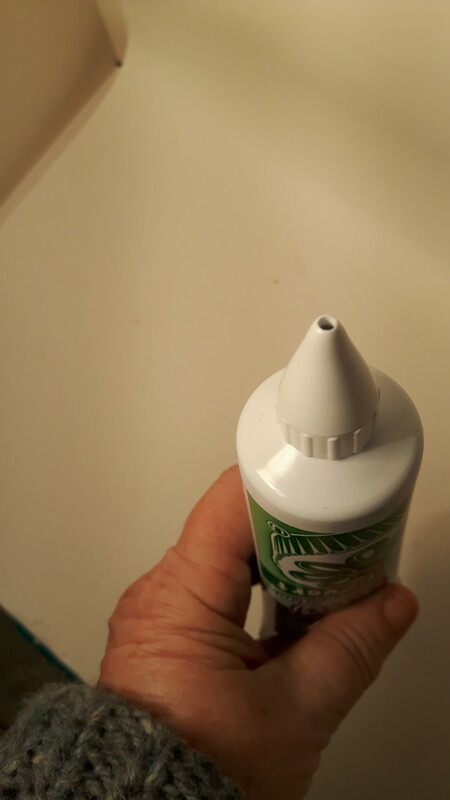 Take the lid of and cut the end off the tube. With the white tube, screw the star shaped end onto the tube. With the writing tip, squeeze the green tub and draw the stems from each heart continuing in the direction towards the bow. Stop and start so it looks like the stem is continuing behind the heart. Draw the end of the stems below the bow. With this tip you can also write on the board or the cookies for that matter with a personal message. The leaf tip is also easy to use. Screw it onto the green tube. 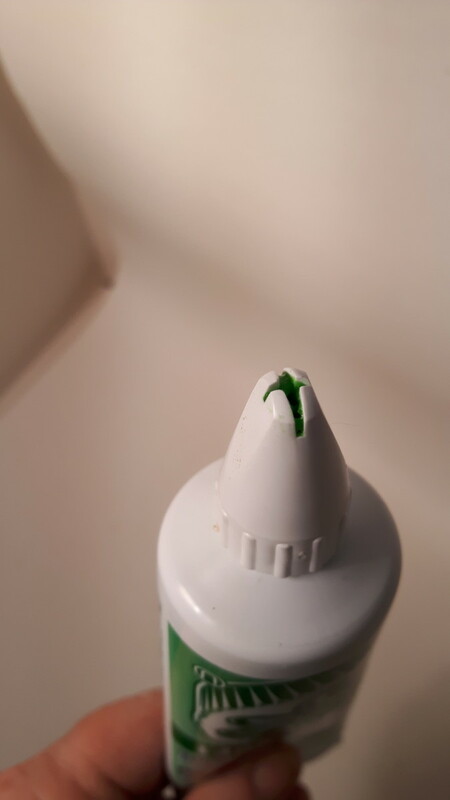 with the widest part of the tip horizontal, squeeze the tube and move the tube in the direction you want. To create the tip of the leaf, rotate the tube and lift. 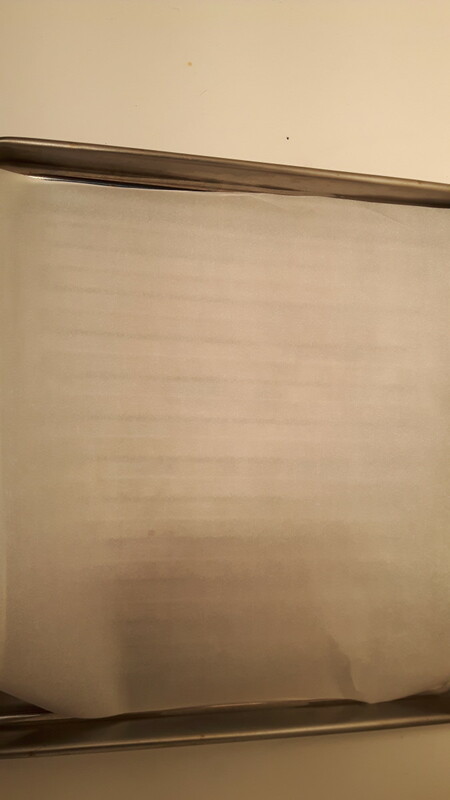 Practice on a piece of waxed paper or a clean counter top. 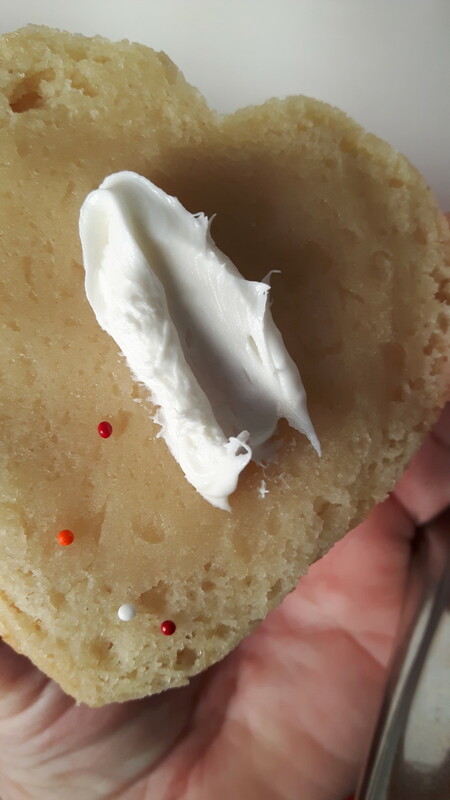 The little white flowers are done with the star tip and the white icing. They are just a cute little filler. You may want the space for writing something so they are optional. 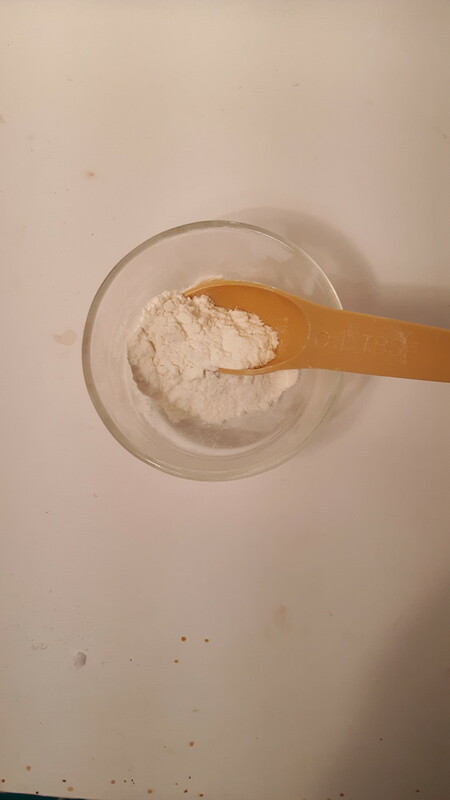 These techniques however will give you confidence to make other goodies in the future. Some Lucky Person is Going to get This! 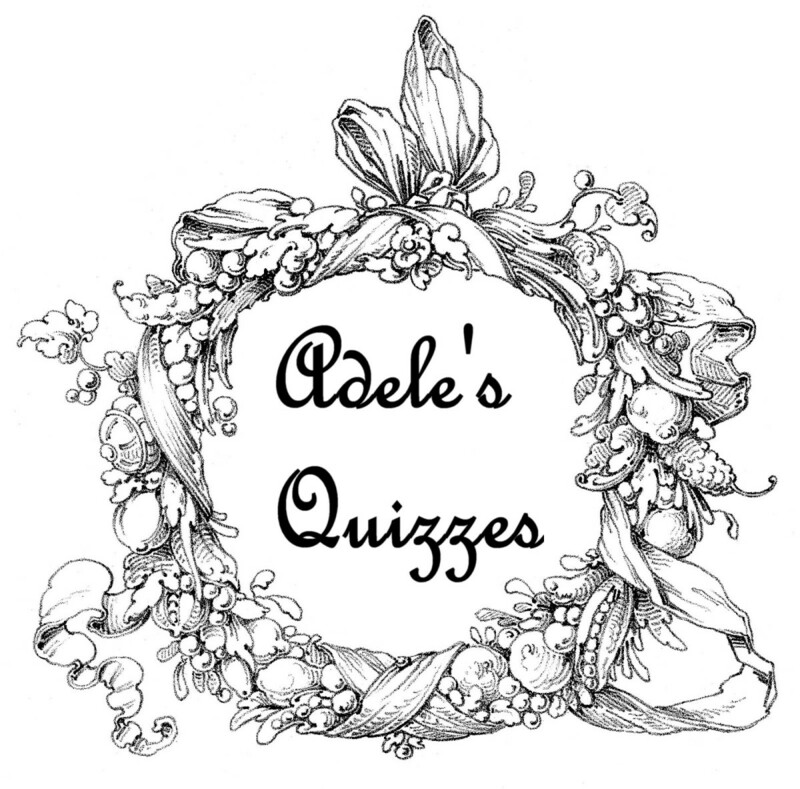 Would you like other simple and easy cooking and baking recipes you can make?